Survivors of a blaze that killed 71 people six months ago in the Grenfell Tower in west London wept during a multi-faith memorial service at St Paul's Cathedral on Thursday. Mourners leave after attending the Grenfell Tower National Memorial Service at St Paul's Cathedral in London on December 14, 2017, to mark the six month anniversary of the Grenfell Tower fire. 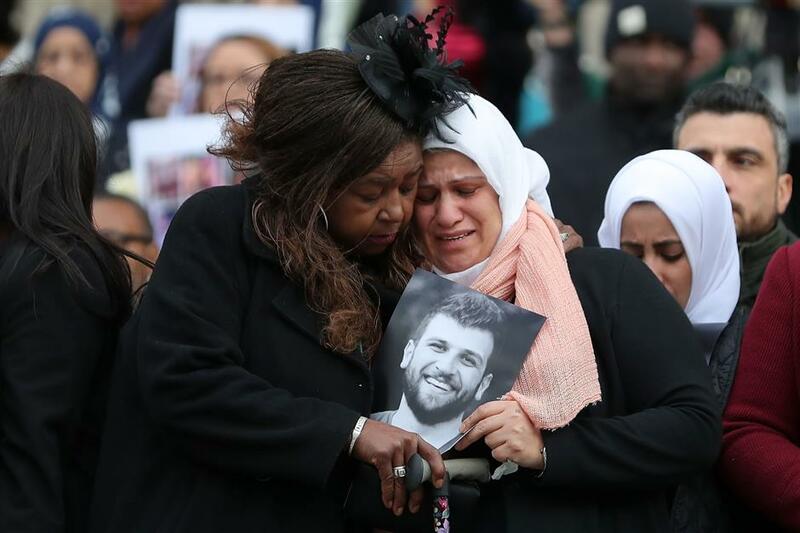 Survivors of a blaze that killed 71 people six months ago in the Grenfell Tower social housing block in west London wept during a multi-faith memorial service at St Paul's Cathedral on Thursday attended by members of the royal family. Bereaved relatives held pictures of their loved ones as they commemorated Britain's deadliest fire since World War Two, a tragedy that has profoundly shocked the nation. Fire broke out in the middle of the night on June 14 and quickly gutted the 24-storey building, which was home to a multi-ethnic community living in a poor area within one of London's richest boroughs, Kensington and Chelsea. The disaster highlighted the area's extreme disparities in living conditions between rich and poor and fuelled a debate over why safety concerns voiced by tower residents before the fire had been ignored. It also addressed the anger of many survivors over what they perceive as the neglect of their community before and after the fire. A majority of the hundreds of people displaced by the fire are still staying in hotels because suitable permanent homes have not been provided yet. "Today we ask why warnings were not heeded, why a community was left feeling neglected, uncared for, not listened to," Graham Tomlin, Bishop of Kensington, told the congregation. "Today we hold out hope that the public inquiry will get to the truth of all that led up to the fire at Grenfell Tower ... and we trust that the truth will bring justice." Police are investigating the fire and say charges may be brought against individuals or organisations. A separate public inquiry is under way on the causes of the fire and the authorities' response. The service began when a white banner bearing a large green heart emblazoned with the word "Grenfell" was carried through the congregation to the pulpit by a Catholic priest and Muslim cleric from the area around the charred tower. A choir of Muslim schoolgirls performed a song called "Inshallah", and survivor Nadia Jafari, who escaped from the tower but lost her elderly father Ali, read a poem called "Remember Me" by the 13th century Persian poet and scholar Rumi. The service also included a rendition of Leonard Cohen's "Hallelujah" performed by a Caribbean-style steel band, and a performance of "Somewhere" from the musical "West Side Story." Schoolchildren from the Grenfell area scattered green hearts, a symbol of solidarity with the victims and survivors, around the cathedral's altar.